Why you need the PowerStation PSX3? Imagine waking up almost late for work, and as you rush against time, all of a sudden your car refuses to start. With your blood pressure rising, you decide to check the problem only to realize that the battery is dead and your car won’t start until you recharge or replace it. If you do not know what a portable jump-starter is, then the above scenario is probably making you sweat. To avoid unnecessary stress caused by flat or dead battery, a good jump starter is all you need. Below is a full review of the popular PowerStation PSX 318 Ah jump starter to help you get started. PowerStation PX3High is provided with a high-power battery offering excellent performance in emergency situations. 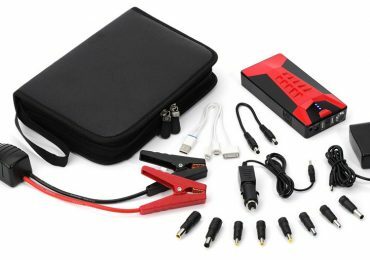 This 1000-amp peak jump starter has the capability to jumpstart trucks, cars, boats, rally bikes, and many other recreational vehicles. in a matter of seconds. Even in extreme climates, this power station can kick start any car with it’s 400 Amp cranking power. The PowerStation PSX The PSX-318Ah 2013 model is probably one of the highly rated jump-starters in terms of power and performance on the market today. PowerStation PX3 bears a built-in voltmeter to help determine the internal charge conditions of the battery, hence preventing unexpected performance failure. With this battery voltmeter, you can make a quick assessment of battery charge-status whenever necessary. 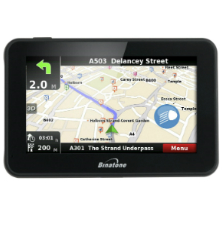 It allows you to travel peacefully without having to worry about losing charge and failing to kick start your car in an emergency situation. PowerStation PX3 is one of the reliable car jump starters with built-in air compressors. Unlike the portable jump-starters in the market, this PowerStation model comes with a high-volume built-in 160 psi tire inflator with adapters as additional features. This means that if you are a long distance traveler, you do not have to worry about being stuck in the middle of nowhere due to a dead battery of a flat tire. The PowerStation PSX 18Ah 2013 model also comes with a pressure meter to provide exact details of the air-pressure in the wheels. This feature not only helps you to prolong the life of your tires but helps you avoid the flat-tire situations on the road. Thanks to the manufacturer to include a powerful 3 LED emergency light well-designed car jumper unit. 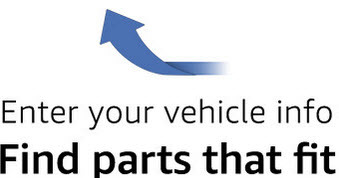 This means that you do not have to worry about jump-starting a vehicle or repairing the inflated tires roadside during night travel. The LED light comes in handy in emergency situations. PowerStation PSX-3 18Ah 2013 model jump-starter can charge your personal electric gadgets, if they outrun charge during the trip. With it’s 1-amp USB port, you can charge diverse smaller electronic devices like tablets, laptops, cell phones, Smartphones, etc. PowerStation PSX-3 18Ah 2013 model is provided with a 12-volt DC built-in power outlet. It is capable of providing electric power for other appliances that have been designed for plugging into a boat or a vehicle or a 12-volt power socket. The re-charging task is quite effortless. 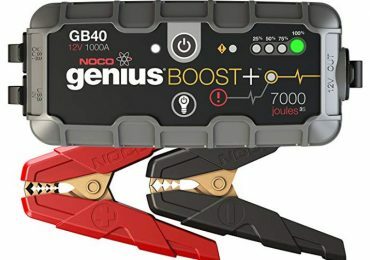 The integrated charger for this jump-starter comes in solid-state. It is capable of re-charging the battery when plugged into any 120-volt AC power socket. Another advantage is it’s internal charger can be safely plugged into the socket at all time when the device is not under use. One of the major pros of this model is it’s heavy-duty cables. It bears high-capacity industrial welding cables featuring 32 inch or 82cm length. It’s 400 amp high-volume clamps works great to deliver jump-starting power at it’s maximum level. This car jumper unit also includes a 12-volt DC power cable as well as a 120-volt AC charger cable. For safety purposes, the PSX3 comes with warning lights as “Cables Reversed” indicators. It notifies the user if they are making improper cable connections. This feature ensures the user safety and ensures the durability of the jumpstarter. One of the characteristics that define a good jump-starter is its portability in terms of weight and size. Don’t worry about the weight, noticing the bulky appearance of PowerStation PX3. It also comes with a compact design in a comparatively smaller size than the other heavy-duty jumper units available in the market. It’s heavy-duty battery comes in a sealed structure, which needs no further maintenance efforts. In fact, it’s body is made of lightweight material making it easy to carry and store in your car-trunk. So, don’t forget to take a jump-starter during vacation, especially when on long distance trips. A quality portable jump starter that will get you out of a jam when it’s needed, and out of site when it’s not. Another factor that makes the PowerStation PSX3 18Ah jumpstarter popular is its ease of use. The item comes with a short and easy to follow manual giving directions on use and safety issues. 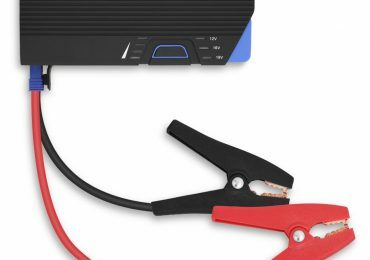 Unlike other products in the same category, this jump starter does not require any skill or expertise to connect and operate. Once connected, it takes a short time to recharge a battery get you back on the road. Given its ability to maintain a charge, the PowerStation PSX 18 jump-starter can be used several times before recharging. 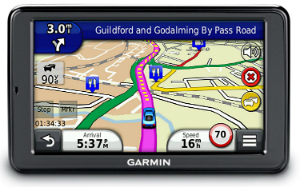 This feature makes it ideal for campers or long distance travelers. However, it is good to note that the manufacturer recommends recharging at least once per month to ensure the durability of the battery. The PowerStation PSX3 18Ah jump starter features a heavy-duty case made of molded plastic plate and high impact carbon. This compact and sturdy structure enables this car jumper unit to serve for many years. Its cables are made of solid copper, making them highly durable. If well maintained, this jump starter device can last for years without needing to be replaced. 1000 amp Peak Jump Starter. 110-volt AC charger cable storage. Built-in Air compressor with hose storage. Clamps reversed LED indicator light. Built-in Indicator lights: Power on or charging or full charge or cables reversed. Positive (+) and Negative (-) clamps. If you are looking for a highly reliable jump starter for your car, the PowerStation PSX3 18Ah jump starter is the best on the market today. Apart from being an excellent performer, this item comes with additional features such as a built-in air compressor to inflate tires and a 12-volt power source to charge your electronics. The item is also highly durable and given the benefits derived from its use; it does not cost that much. Also, it is easy to operate and can be carried from one place to another with much ease. 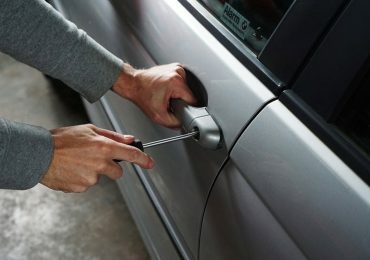 And if you still have any questions on this particular brand or model, just leave a comment below on our site, fixurcars.com.